When did the issue start? What is the current OS version installed on the system? If the system was working fine earlier, then perform a system restore to restore the machine to an earlier point where it was working fine. 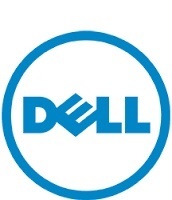 If the system warranty has expired, then download the service manual here - http://dell.to/1n3X2po - and open the chassis and clean the airvents and fan assembly with a can of compressed air or a small vacuum cleaner and reapply the thermal grease for the heatsink. This should resolve the overheat issue. Update the BIOS from the above link and restart and check for the sleep issue with lid closed. If the issue persists, restart and check in safe mode. Uninstall the existing video drivers and check if the system goes to sleep and stays in sleep until you resume with the lid closed. Then reinstall the video drivers from the vendor site. Kindly test the other suggested steps in my previous post to isolate the sleep issue. If the system is still overheating, we can collect the system for repair as per your warranty. Kindly private message me your phone#, email and complete address and we can collect the system for repair and replace the required parts. Also, ensure you backup all data on the system, since the team might reinstall the OS on the system at the depot.